MEMORABLE EXPERIENCES ON THE ISLAND OF THE GODS. Novotel Bali Benoa is a sea front with 187 rooms, cabanas and villa resort on the edge of the peninsula of Tanjung Benoa, Nusa Dua. The hotel features 3 swimming pools, 3 restaurants and 3 bars, a kids club, gym and ‘In Balance’ spa. The resort is set up in traditional Balinese style amongst beautiful tropical gardens and ponds. Free wifi and free business center, daily theme buffet with live entertainment, 24 hrs room service, daily activities for children and adults are only some of the many offers of this resort. Enjoy local entertainment every night at Novotel Bali Benoa, along with a daily program of activities for both children and adults. Choose from a wide range of water sports on offer, from water skiing to glass bottom boat tours to scuba diving. Combining traditional Balinese style with modern comfort. 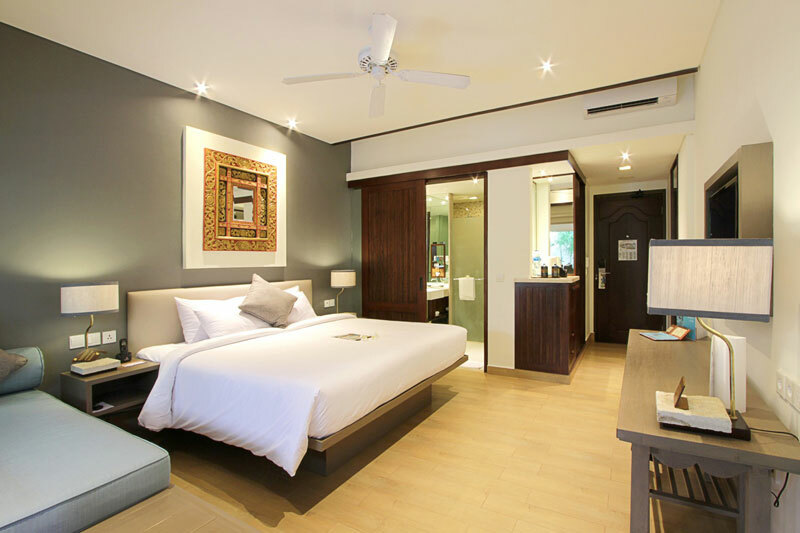 Novotel Bali Benoa has a range of room types to fulfill all guests need. From a family holiday to a romantic honeymoon. 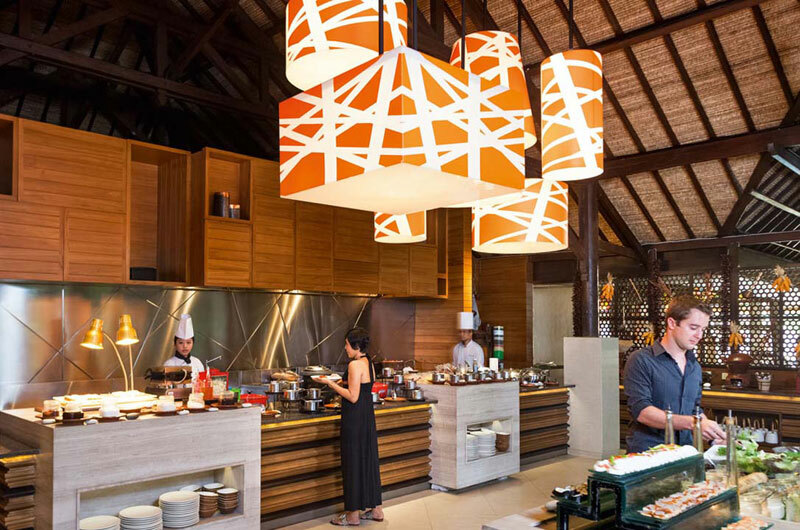 A variety of dining options includes a buffet breakfast and thematic dinner, a beach restaurant and bar offering a casual late breakfast, lunch, romantic dinner, and relaxing bars. The hotel was great for a work conference. Good location with beach front. Spacious and luxurious rooms. The staff were helpful and friendly and super flexible to help manage time within our strict schedules. Hotel team activities hosted was super fun and will be memorable for the team for years to come! Novotel Bali Benoa has a large room and nice staff. We were greeted by the manager and they are very friendly. We got free upgraded to a nicer room (tropical beach wing room) which is what we really wanted. I simply enjoyed the stay and it was an excellent experienced and very pleasant. We definitely recommend to visitors. We had a very pleasant stay in novotel Bali benoa. Everybody there was very nice and helped us with everything. Also very good Restaurants and buffets every Night with great balinese dance shows! Wholesome and rich breakfast buffet. Rooms also very clean and comfortable with a modern Design. I really enjoyed the Gym, Spa and beautiful Swimmingpools. Greetings from Germany.